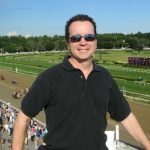 Asset Inflation captured the seventh race at Saratoga last Wednesday afternoon and has been named the agameofskill.com Claimer of the Week. The gelding stalked the early place down on the hedge and ran much better than the rest once the field hit the furlong marker on the Spa’s turf course. 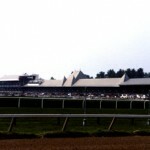 The 6 year old won the 5 ½ furlong test for $40,000 New York bred optional claimers on a firm course. Asset Inflation stopped the timer in 1:02.37 and paid $8.70 to his supporters. It was the seventh career victory for the son of Greeley’s Galaxy, who was ridden by Irad Ortiz. Owned and trained by David Jacobson, the 6 year old has finished in the money (top 3) 12 times from 17 starts and has accumulated $306,000 in lifetime earnings.